Pokémon hatched from eggs are stronger, come with more candy, increase your XP more, and eggs can contain rare Pokémon that are difficult to find in the wild. There are several different types of eggs in the game, so it can be confusing. Here's a guide of what you need to know to grow your own Pokémon in the game. The eggs that you can grow into Pokémon will be found at PokéStops. 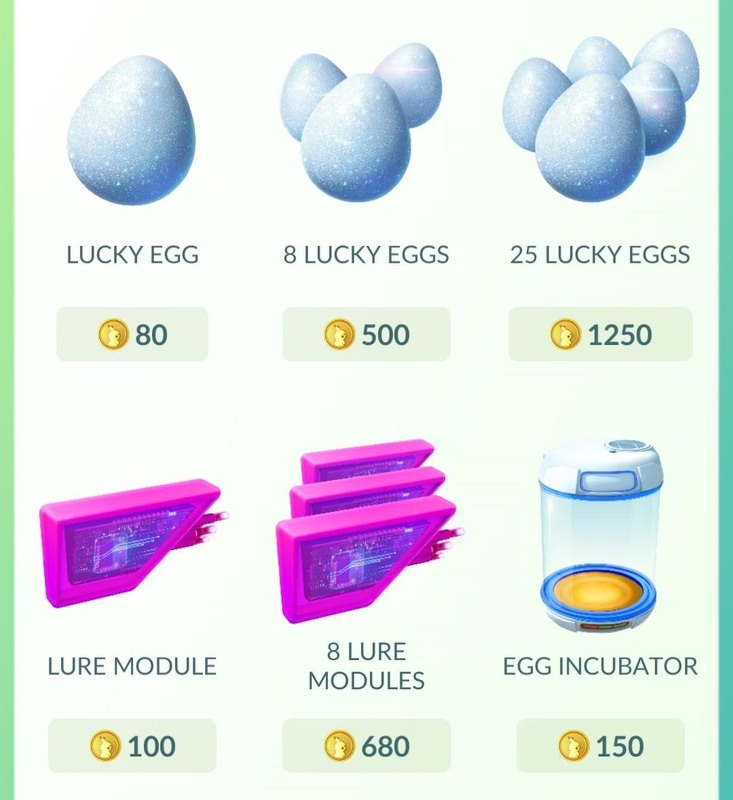 There's another type of egg in the game, called Lucky eggs, which can only be purchased from the shop, and all they do is double your XP point bonuses for 30 minutes at a time. While useful, they won't give you more Pokémon or help you find rare ones. There's also a strange little Pokémon called Exeggcute, but other than being able to hatch him from an egg, he's got nothing to do with this. Once you collect a Pokémon egg at a PokéStop, you'll can find them in the menu by pressing on the Pokéball in the middle of the bottom of the screen, then clicking on the Pokémon menu. You'll be greeted by a list of Pokémon you've caught, but if you swipe right or click on "eggs" at the top, you'll see all the eggs you've collected. You can carry up to nine eggs at a time, so get incubating! The eggs come in three varieties. They differ in the distance you have to travel to hatch them (2 km, 5 km, and 10 km, or... 1.25 miles, 3.1 miles, and 6.2 miles) and the types of Pokémon inside. The longer the walk, the rarer the Pokémon inside. To hatch an egg, you need to put it in an incubator and walk. Incubators can only contain one egg at a time. Every player gets an unlimited use incubator when they start, but all other incubators in the game only work for three uses. Three-use incubators from the shop cost 150 PókeCoins, and you'll get 3-use incubators at level 6, 10, and 15, and two at 20. Once you've got an incubator, all that's left to do is put an egg in (click on the egg, then choose the incubator you want to use—it doesn't matter if it's a three-use or unlimited, they'll both do the same job) and walk the required distance. Just a reminder, though, that distance is only counted when you are walking around with the app open. There are lots of benefits to hatching your own Pokémon. Pokémon hatched from eggs are more powerful than those that you encounter in the world, and they'll also give you more candy to evolve and power up your Pokémon and increase your XP faster. 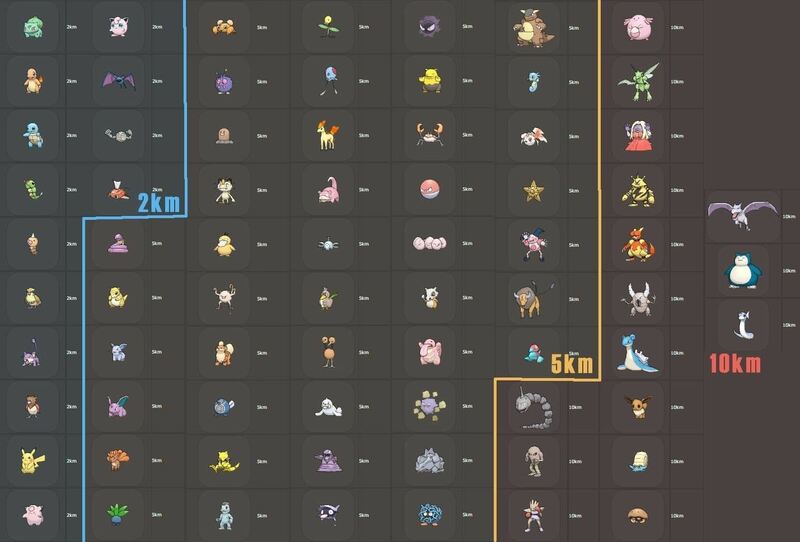 It's also an easier way to find especially rare Pokémon, found in 10km eggs (you can see the breakdown of what distance eggs contain what Pokémon types, and a list, below). 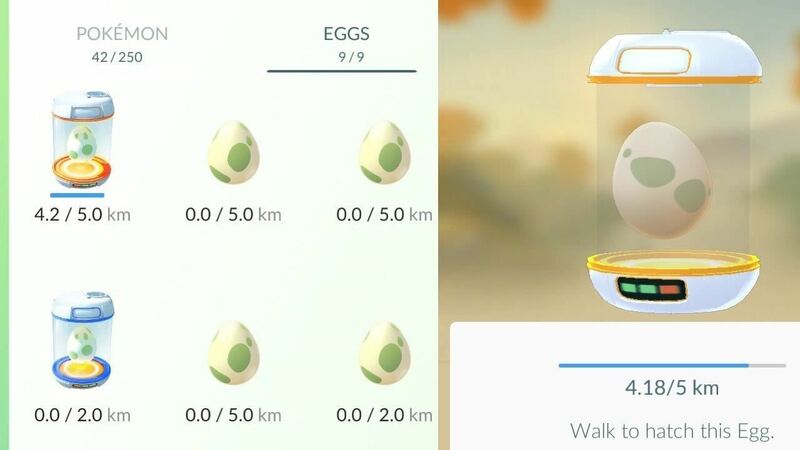 Also, Pokémon GO keeps track of your speed while you're trying to hatch an egg—go too fast and it will stop counting (the limit is somewhere between 5 and 20 mph). So, unfortunately (or fortunately), you won't be able to speed up the process by playing the game while in a moving vehicle. How To: The Easter Egg Cake and How To Hatch It.